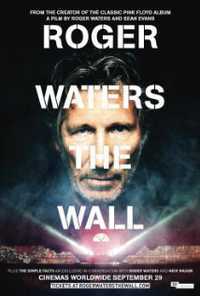 Roger Waters: The Wall is a 2014 British concert film & live album by Roger Waters. Directed by Waters and Sean Evans, it captures performances of Waters' live tour. It premiered in the Special Presentations section of the 2014 Toronto International Film Festival. At the premiere, directors Roger Waters and Sean Evans were in attendance and received praise from those in the audience that night. This webpage uses material from the Wikipedia article "Roger_Waters%3A_The_Wall" and is licensed under the GNU Free Documentation License. Reality TV World is not responsible for any errors or omissions the Wikipedia article may contain.